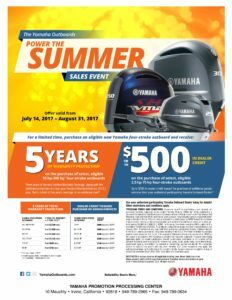 Check out Yamha's Power the Summer Sales Event going on from July 14, 2017 to August 31, 2017. Five years warranty, or $500 credit on new eligible models. Call us for more details.